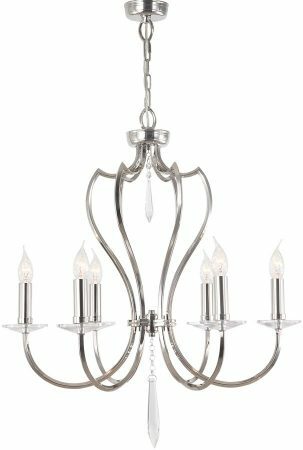 The Elstead Pimlico 6 light birdcage chandelier in polished nickel finish is manufactured from solid brass square section tube, with graceful curved arms, candle style lights and heavy cut glass sconces and drops to complement the polished nickel finish. 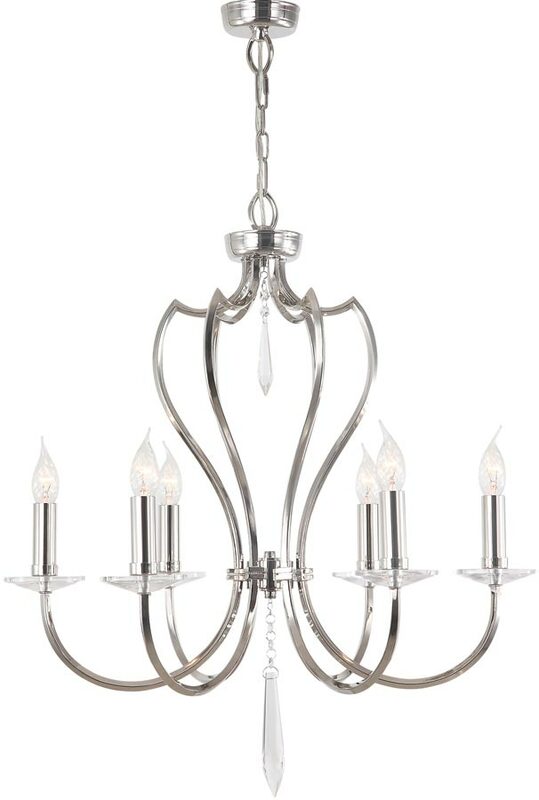 Featuring a polished nickel ceiling mount and chain suspension, with a classic open birdcage body and upswept curved arms. The lamps feature heavy cut-glass sconces and candle tubes. A large cut-glass drop in the centre of the birdcage and below the chandelier complete this luxury lighting design. The stunning Pimlico range is a beautifully crafted family of products using fine square tubes unusually curved on its edge. Using brass as its main constituent, the Pimlico suite features fine cut glass sconces and droplets to accent the finish. Cream cotton pleated clip-on lamp shades (LS162) are available to order separately for this wonderful chandelier as shown in the secondary image. They can be found and ordered by following this link. If shades are used the maximum wattage must be reduced to 40w per lamp bulb. 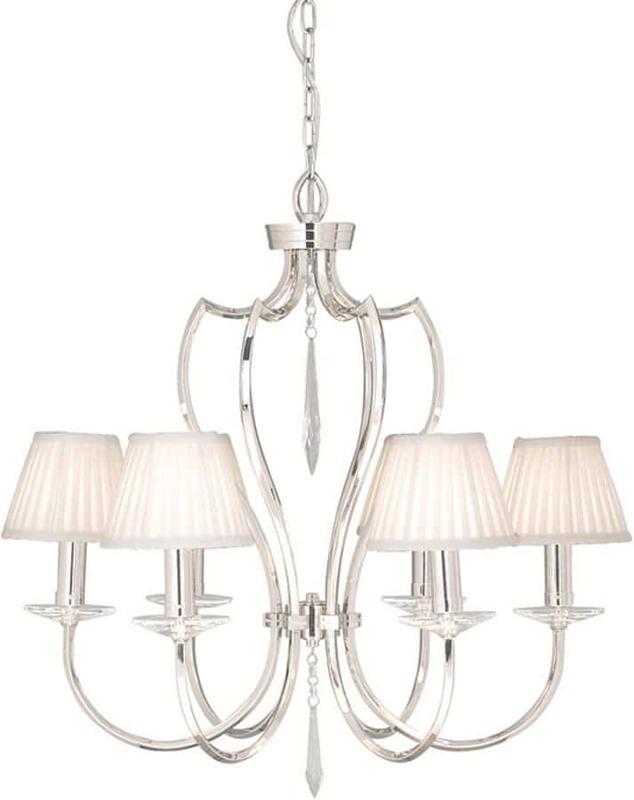 This solid brass light is supplied by Elstead Lighting, a British company that specialise in the manufacture and distribution of quality decorative lighting such as the Pimlico 6 light birdcage chandelier in polished nickel finish you see here.